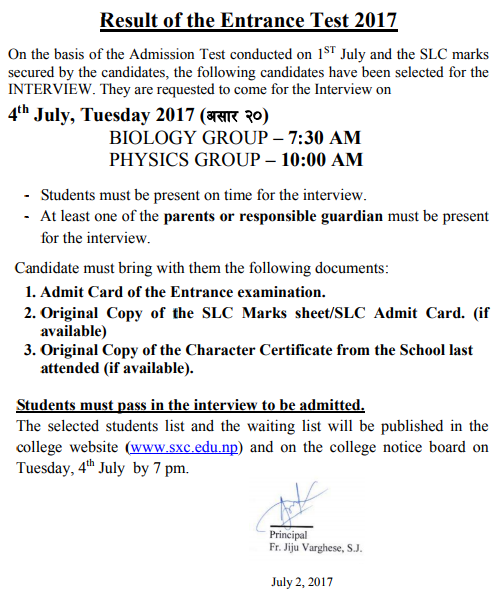 Today 2 July, 2017 [17 Aashad, 2074], St. Xavier's College located in Maitighar, Kathmandu and one of the preferred desination to study +2 Science program to publish the results of +2 Science Entrance Examination. Nearly 12 thousands students have appeared for the entrance examination to study +2 Science year, where the enrollment capacity for +2 Science is only 504. The selected candidates are requested to appear for the interview as the interview will be conducted on 4th July, 2017 [20 Aashad, 2074]. 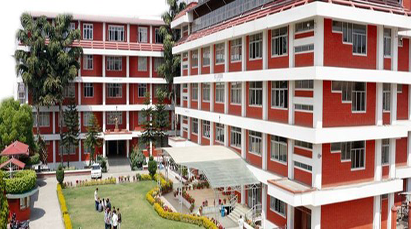 0 Response to "Check Entrance Exam Result 2074 | Plus Two Science | St. Xavier"